Comments: This vine produces a brilliant blue trumpet-shaped flower with a yellow throat. 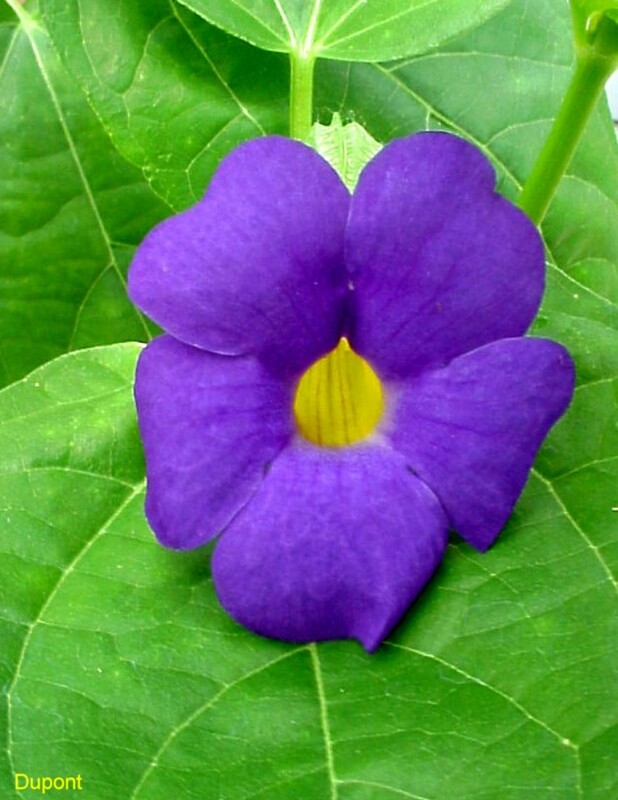 This perennial is not as heavy flowering as the other thunbergia cultivars, but does have a weak stems and after several months of growth it tends to be somewhat vine-like. This thunbergia makes an excellent container plant. It cannot take low freezing temperatures. Light frosts kills it back to the ground but plant returns the following spring.